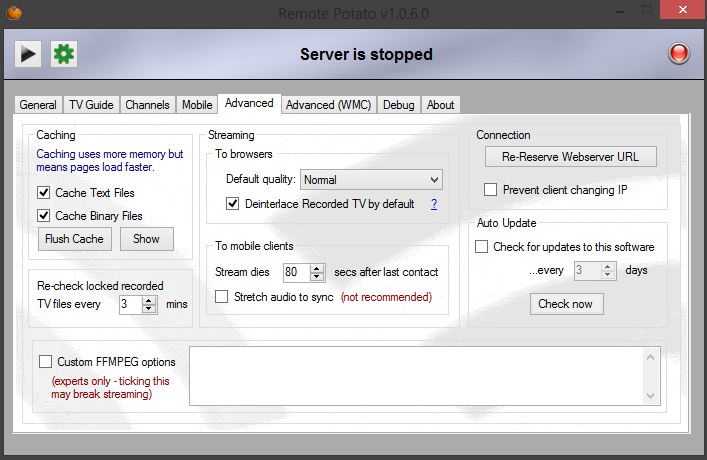 Going to talk about a nice addon software for WMC called RemotePotato. 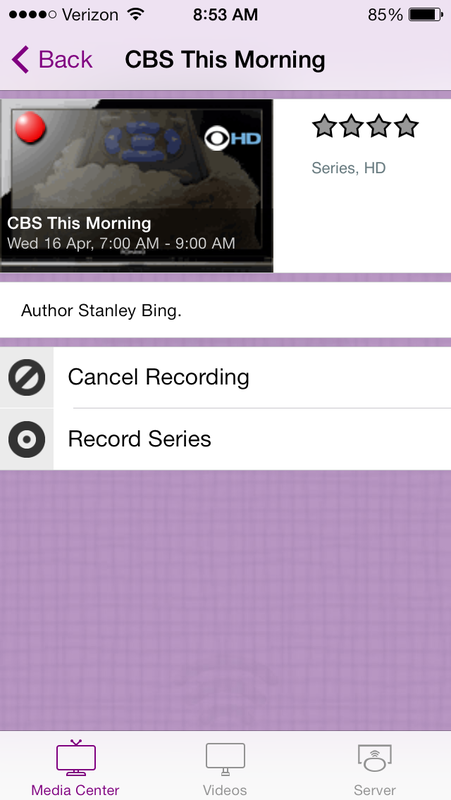 It let you record, manage recordings, use guide, and most importantly STREAM your shows in browser or on your phone. 3. 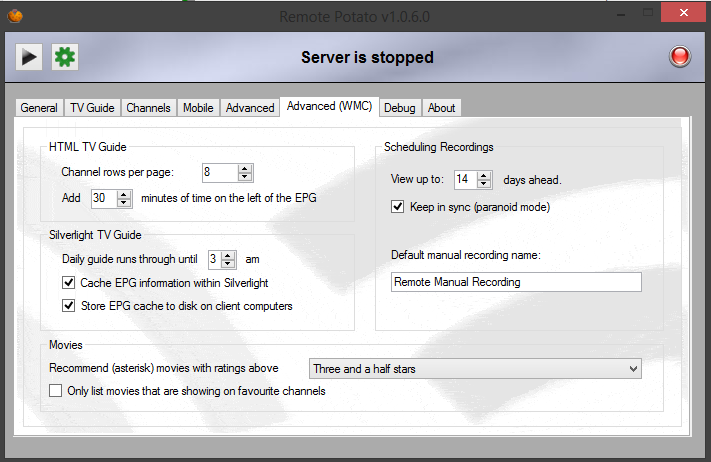 Open up Remote Potato. You can run through setup wizard for do it manually. 5. 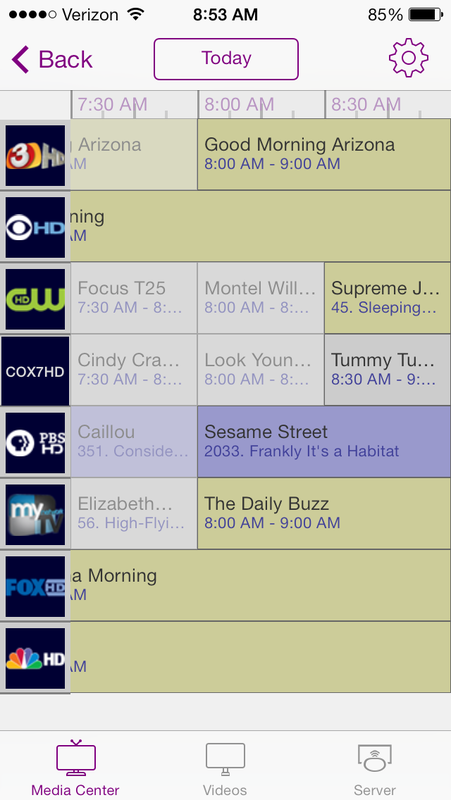 Under TV Guide tab you can choose from many options. 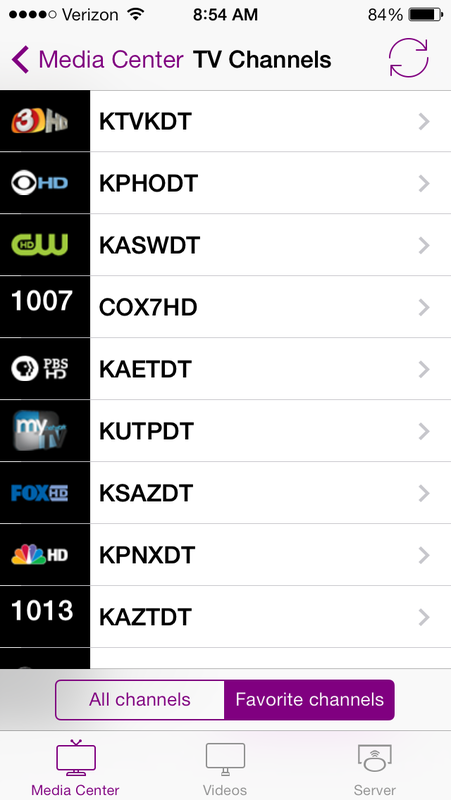 I chose to show favorite channels only (went and favorited HD channels so I don’t see SD channels). 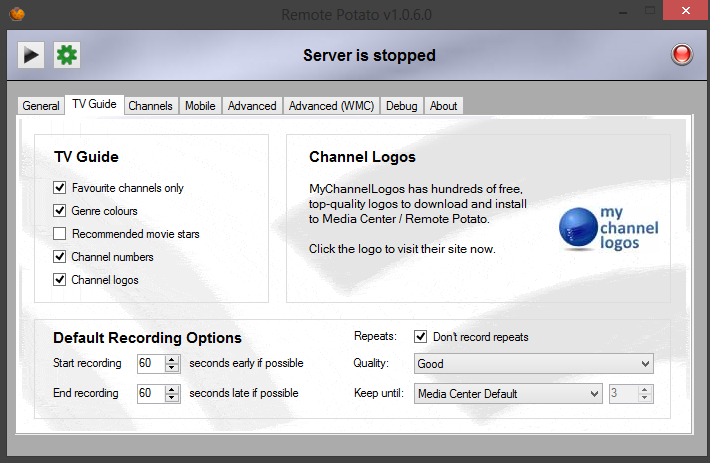 If you have setup my channel logos (see my previous post) it will integrate nicely with remote potato. 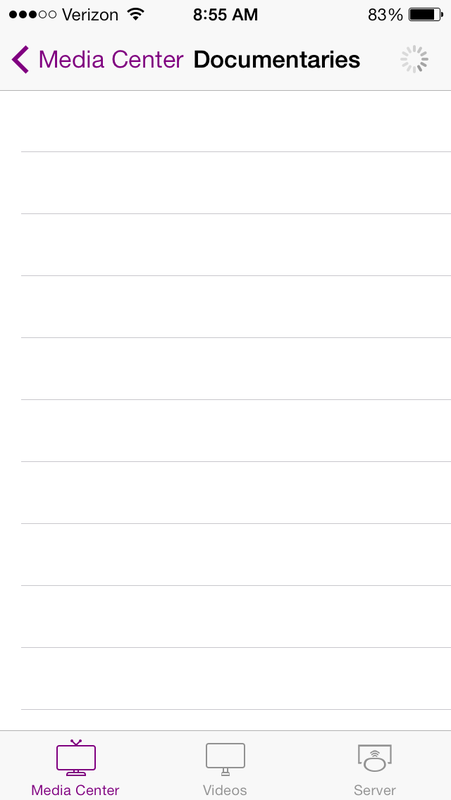 You can also set default recording options here. 6. 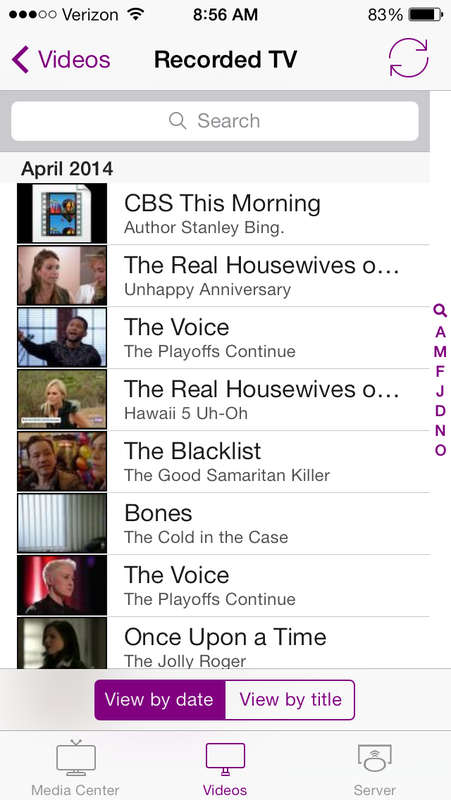 Under Channels tab you can select favorites. Be sure to hit Save Changes. 7. Under Mobile tab you can select which mobile browsers become compatible. 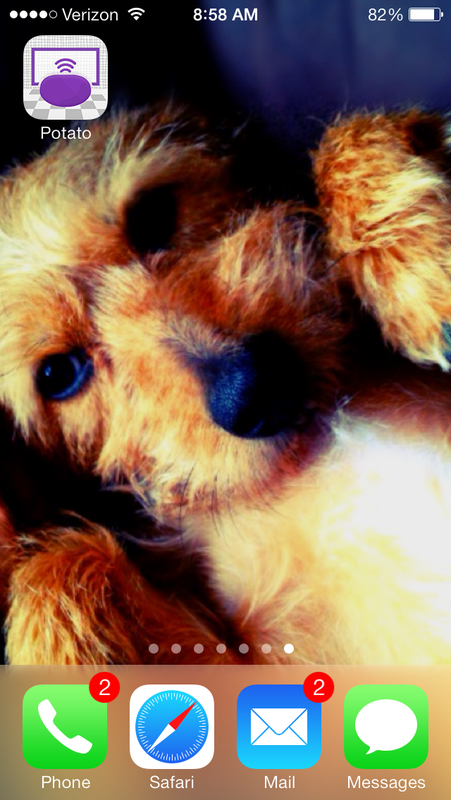 I left default as I use iPhone. 8. 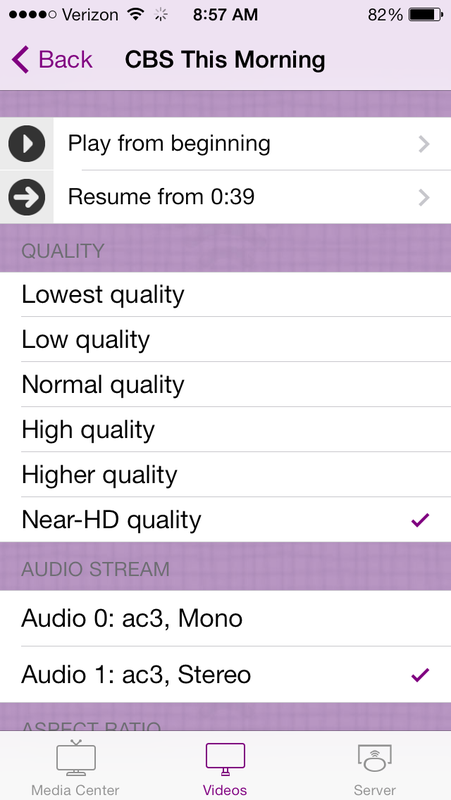 Under Advanced tab you can select default streaming quality (you can manually select later). I left everything default. 9. 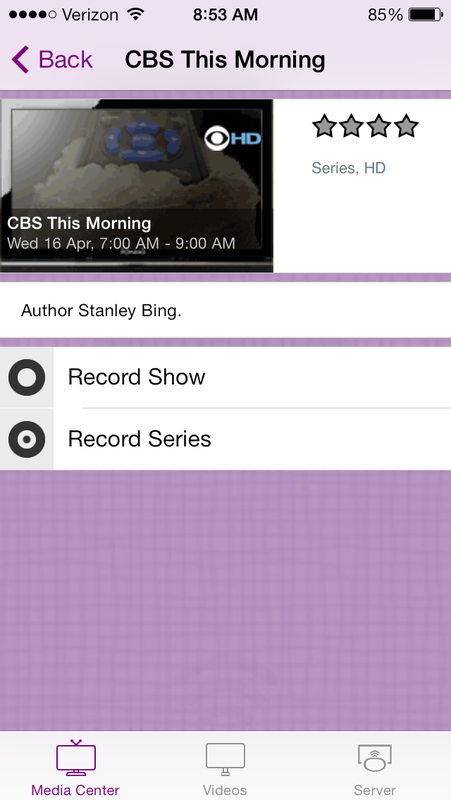 Advanced (WMC) tab lets you choose channel rows per page and how much time to left of guide. You can choose what you want here and play with the settings to your liking. 10. 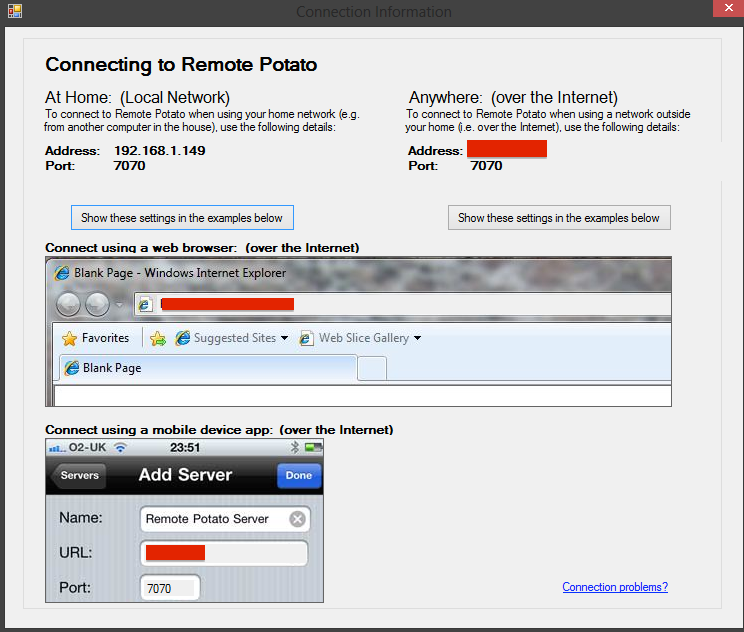 Now that your done with settings you need to find out how to connect to server with phone apps or online browser. At first page you can select option to find out how to connect. 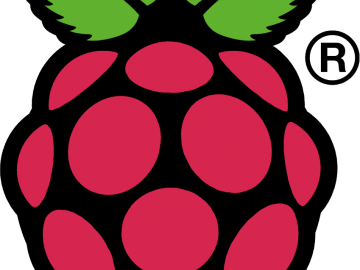 Be sure to take note of ports and addresses for both local and remote! 11. Now onto the iOS app. 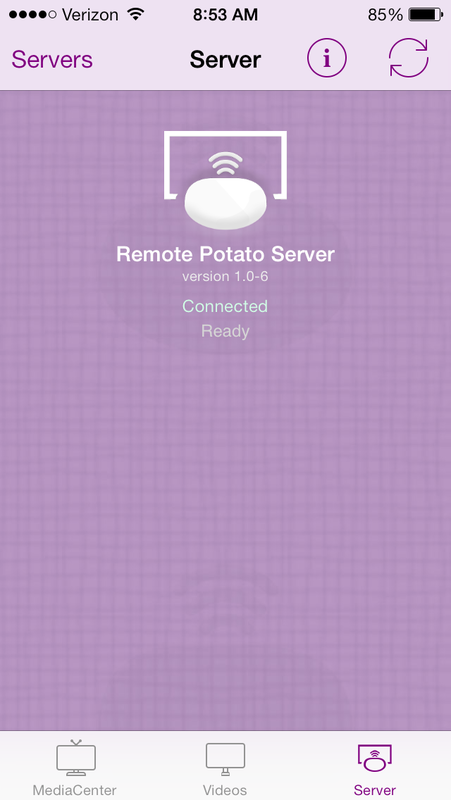 I got the newest Remote Potato 2014 as its required to upgrade. (I am not a fan of this practice of updating and app, calling it something new, and charging more money for exact same thing). They have a monopoly on the market so if you want streaming, you don’t have any choice. 12. 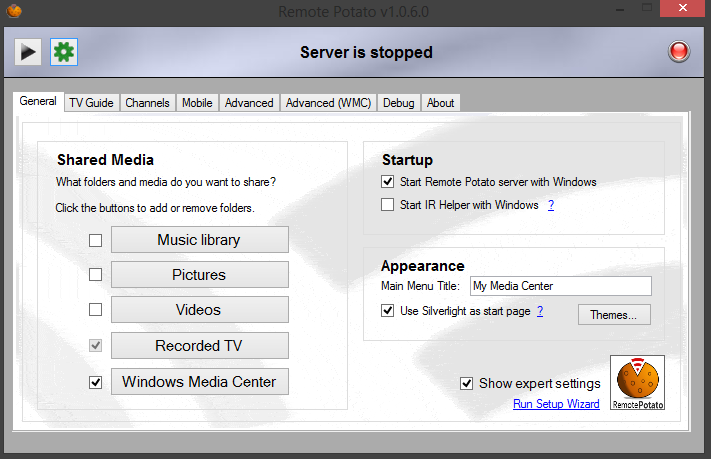 Click the + and add your servers with the information in step 10. 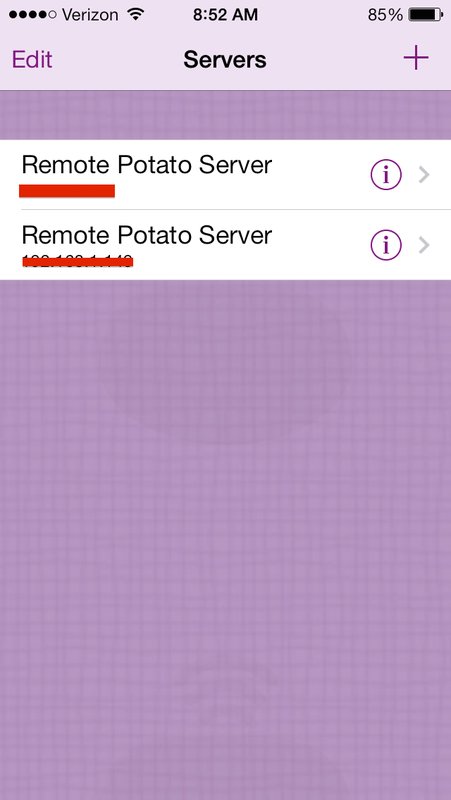 I created two of them, one for local and one for remote. 15. 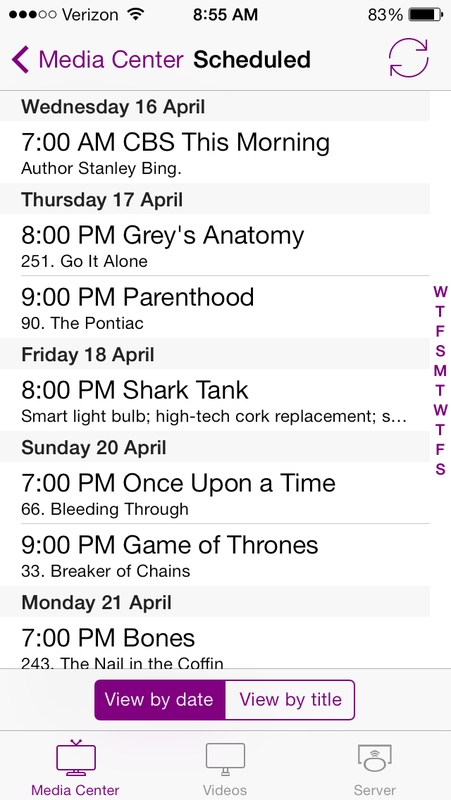 Click Browse EPG Grid. 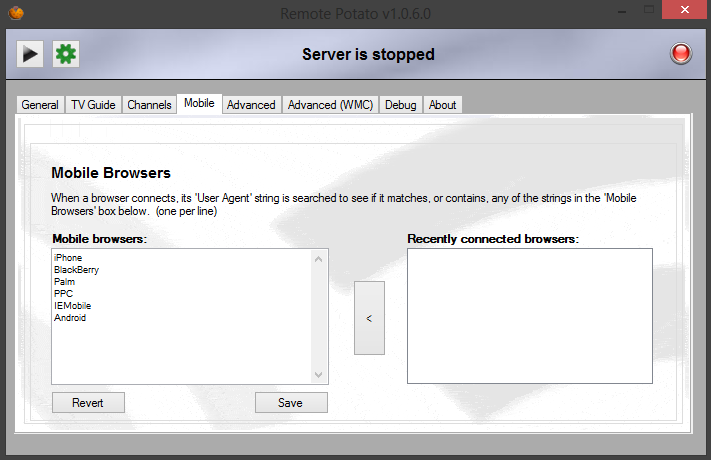 This is one of my two big gripes with this software. 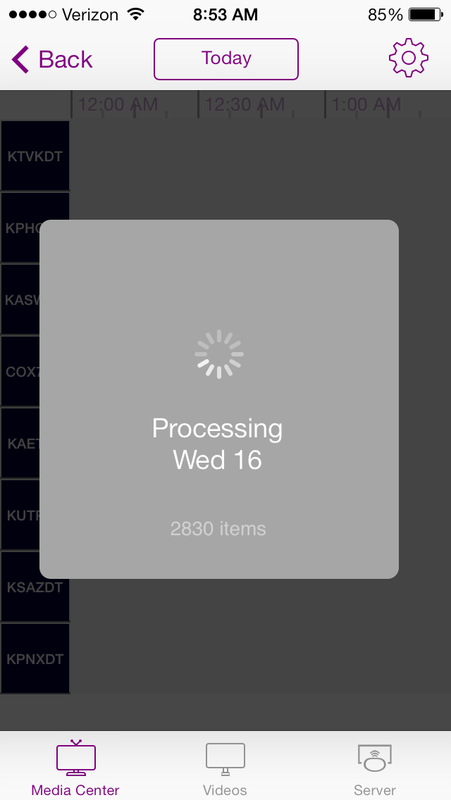 Processing Grid information is ridiculous. They need to fix this. It takes forever. 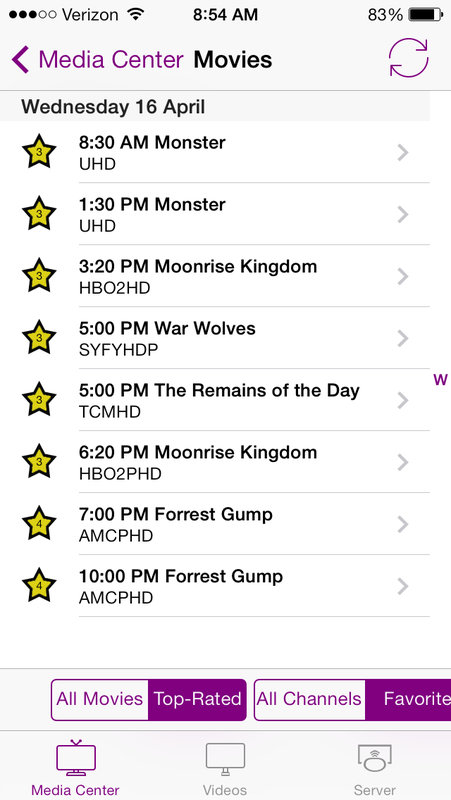 If you use the Ceton Media Center app you will see the right way to do this. Thats why I only use this app for streaming. 17. Clicking on a show. 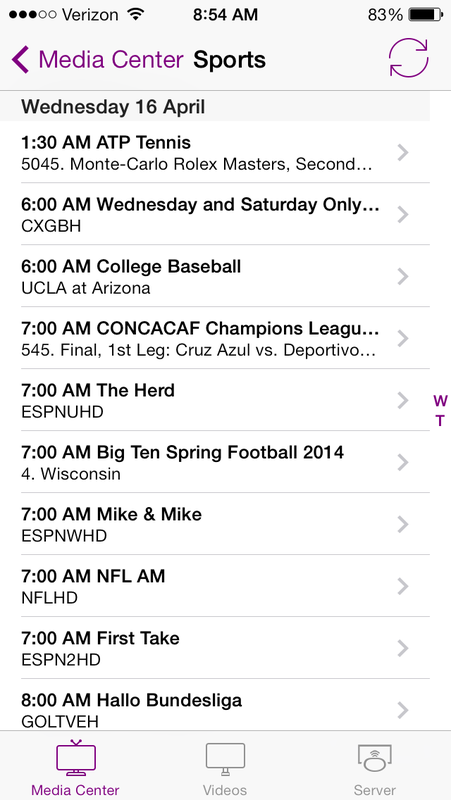 To stream a show you must first select to record show. Then go to recordings and stream it from there. 20. 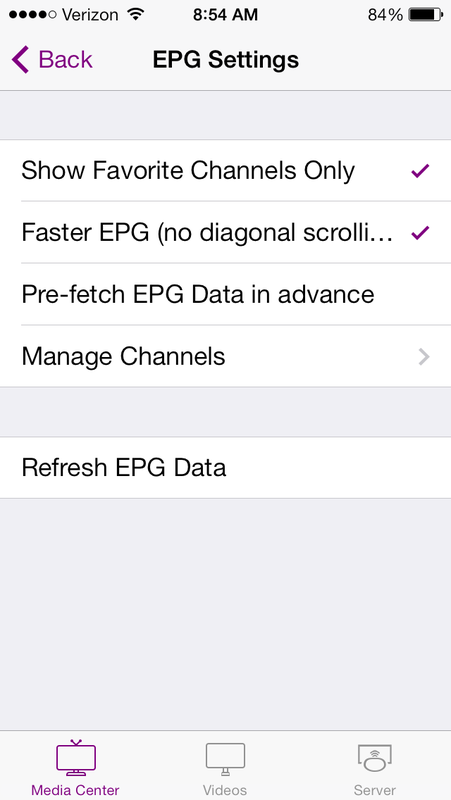 EPG Settings. 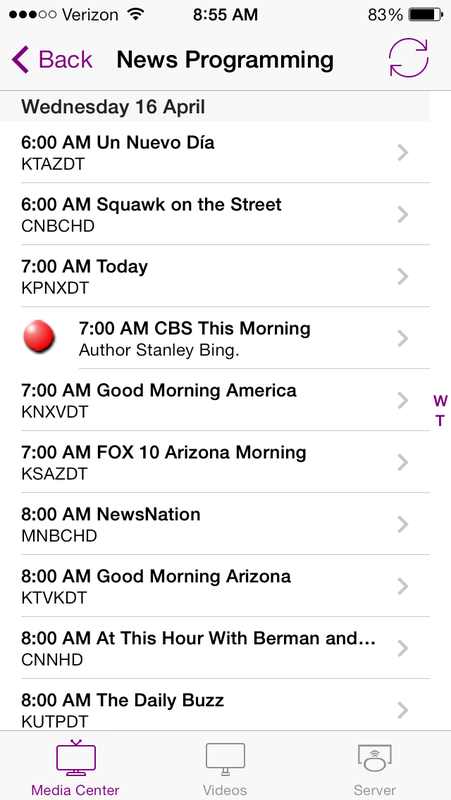 I chose to show favorite channels only along with Faster EPG because its already too slow. 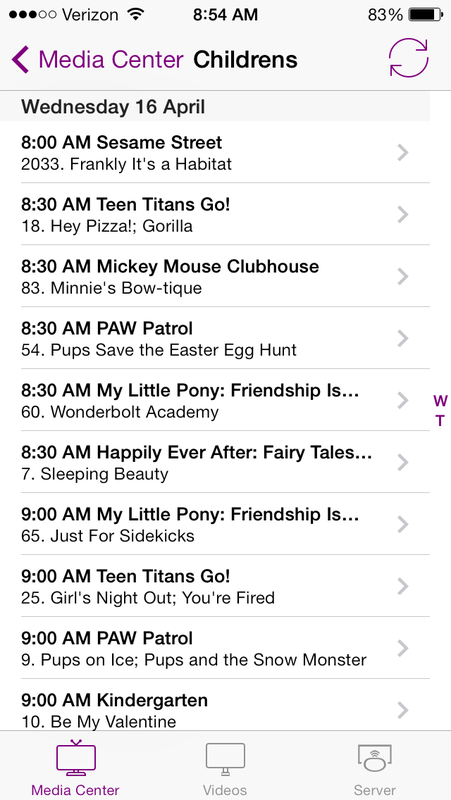 I would also recommend Pre-fetch EPG data in advance to speed it up. 29. Options when you select to stream. This will depend on internet speeds. 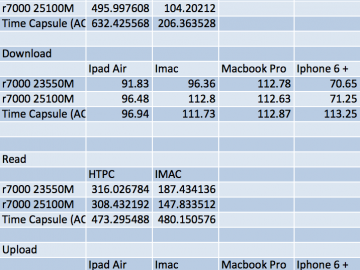 I can do Near-HD quality at home with wifi on iPhone (I have cox 50MB/s speeds with 5.0GHz Wireless N). My second grip with software is remote streaming. Not sure who’s at fault but it just doesnt work very well. 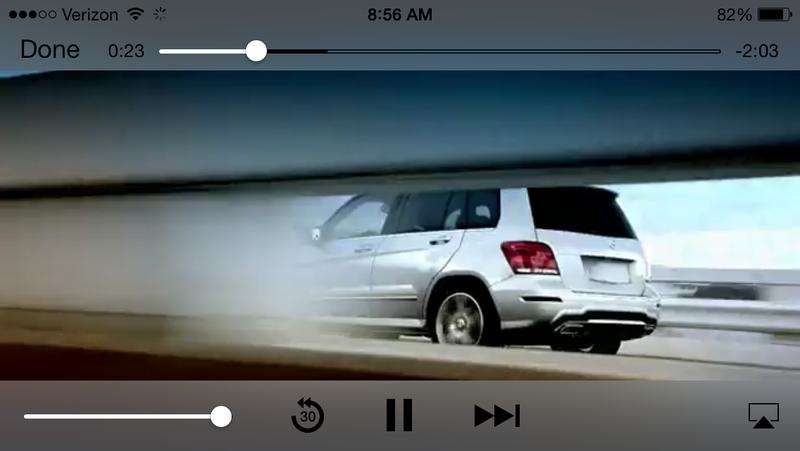 I am on 4G LTE Verizon in Phoenix with full bars and I can barely get consistent stream with low settings.